My lovely wife finally couldn't take it any more and offers up her take on the BEOS environment. I am the wife of Stan Larimer and today I am finally speaking out in defense of my husband, my son Dan, and those who have supported us, believed in us, and worked with us through thick in thin since 2013, but especially those that prayed with me since tragedy struck last October. No one knows the personal story behind those in my family and what went into creating PTS and then BitShares. There has been blood, sweat, tears, joys, financial issues, software setbacks, family stress, legal challenges, scammers, and even death threats. There have been multiple people whom we have called friends, only to have them turn around and stab us in the back, lie, cheat, and even steal from us. Through it all one thing I know, Stan has done everything in his power to make BitShares a success. He has worked tirelessly and traveled thousands and thousands of miles to promote Bitshares. Stan has done this with his deep faith in God to help him get through the bad and low times, even when BTS was only a 1/3 of a penny. 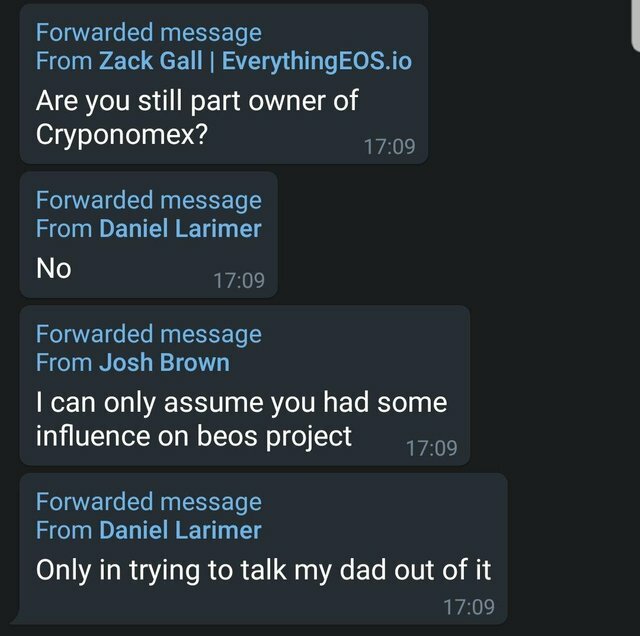 Finally he came up with something that might work to bring BitShares back to life - BEOS. Then tragedy struck on October 13th seven hours away from home and all of our family - Stan had a massive heart attack while with me at my uncle’s funeral. He was dead for 15 minutes, put on life support for 4 weeks, and where I was told that he had a 10-20% chance of survival and if he did then there was a good possibility of brain damage and other disabilities. He spent 8 weeks in CTICU and ICU before being sent to acute rehab for 3 weeks to learn how to walk again and build up his other muscles. God was good and Stan survived and no brain damage - as far as I can tell. Stan has come a long way in his recovery, but still has a long way to go. 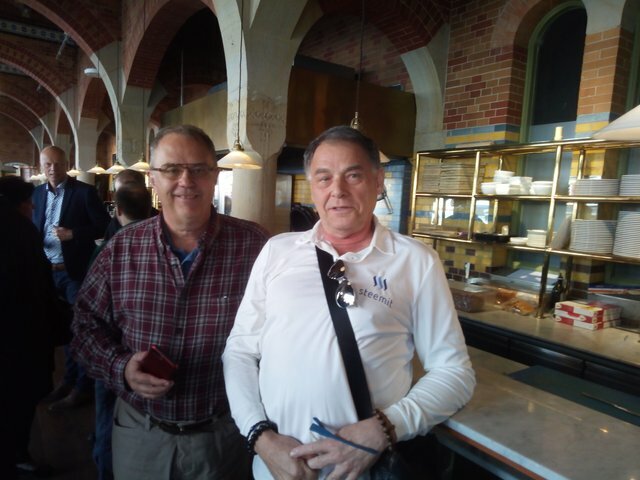 BEOS and friends like MichaelX and OnceUponATime have helped in his recovery - and of course our children, Dan and Scott, grandchildren, and prayers. This negativity, false rumors, foul language, threats, and more are inappropriate and just dangerous to a man who has put his heart and soul into BitShares. Without Stan and our true friends nothing would be there for BTS and BROWNIE holders. I read and hear nothing but whiners and complainers about BEOS. When was the last time YOU FUDsters did something positive and new for any BTS and BROWNIE holders? When was the last time YOU put hundreds of thousands of dollars of your retirement savings into keeping BitShares alive and out of legal trouble? When was the last time YOU FUDsters risked your health traveling around the world to promote BitShares? When was the last time YOU came back from death to do something good for the BitShares community? YOU FUDsters need to put up or shut up and do something good for the Community and stop bitching. Don't mince words, Pam, tell 'em what you really think! If I ever get in trouble, I KNOW, with complete confidence, that Stan would have my back. Can't say that about too many people in this world. Indeed I would, my good friend. I wholeheartedly and fully support this message being conveyed by Pam. 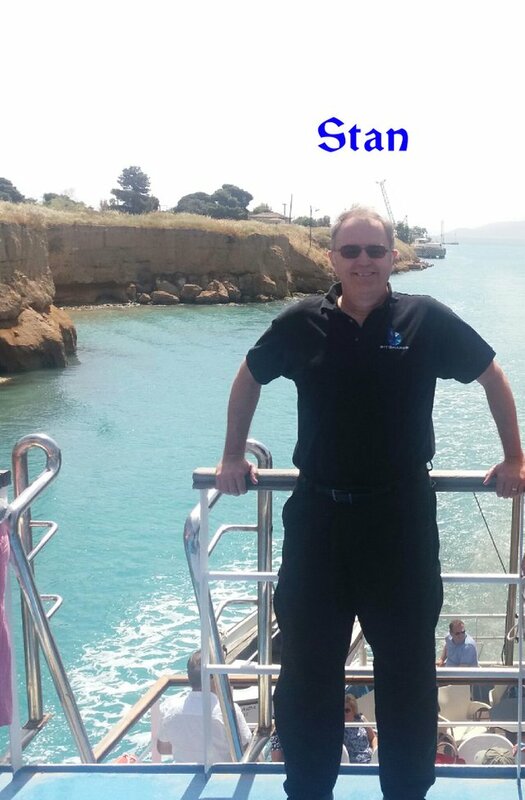 With God's Love, yours and some good friends, Stan will be Healthy and Happy! I'm sorry to hear more news of all the troubles you and your family have endured. I've said this before, but it bears repeating in case you didn't hear it then, and for your encouragement now... Stan puts me in mind of Moses. I am a believer in Jesus/God who feels as though I have become a slave in the modern Egypt called USA. I grew up being told I live in a free country, but have painfully discovered that not at all to be the case. I see Stan as a visionary leader who has been creating tools for my financial protection and liberation from the tyranny of the "powers that be" behind the scenes in this world. In the few years I've been involved here on Steemit, Stan and I have had some interesting debates over one or two fine points of theology, but I want you to know, Pam, that FWIW, your husband has my ongoing admiration and great appreciation. I hope you will be able to bear up through whatever ill will may be aimed at your family presently by the trolls skulking around out there. I prayed for Stan and your family through the period of illness, I've been delighted and thanking God to observe his recovery, and I will continue to pray for strength and for grand success in all his endeavors. Thank you for speaking out, and for standing by your man. Pam appreciates you greatly, as do I! This is way I followed Stan for years now. I also support this message from the wife of Stan, and hope that the fudsters start thinking, and stop this unworthy performance. The Bitshares community has a lot to thank Stan for. I think the fudsters only have their own agendas, and think that spreading fud is helping them. If they had known that they hurt themselves the most, they would not do it. But, obviously they don't know that. I've witness the struggle and development of bitshares since 2014. Believe me, it had been a quite challenging journey and I've also witness the work of stan to help the bitshares community. The Beos cooperative he has form with his team is one of his kind and will be adopted by many who believe in doing things in a good way. I support! Thanks Pam, well said, Si glad to see God was with you all through the tough times and kept you together and strong, I support you all 100 percent, and thanks for the hard work, God bless guys! I want to send a big, warm hug to Pam. Reading her words (really touching for me) I'm sure she's a great woman with a wonderful family! I'm sorry for all the bad things happened, Stan, but the love you have all around you is more than the other things and this love is wonderful! Thanks for all the work you and yours are doing! Well said Pam. 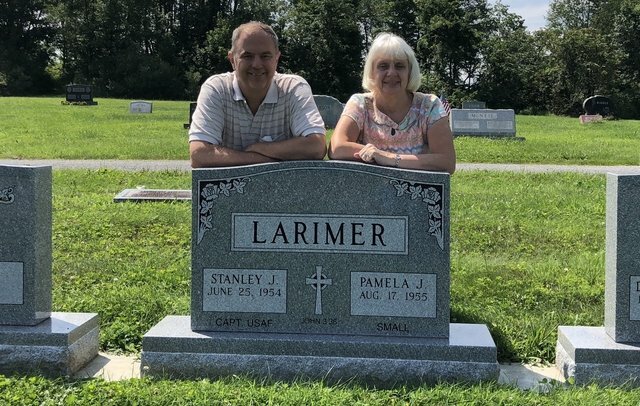 It’s courage and guts to do what the Larimer family have done. Well Done! i was wondering where you were. did not see you in bitsharetalk for long time . wish stan all the best and god bless beos. I don't know much about Stan, but I love your son @dan, he quite literally has changed my life. All the best wishes to you and your family, ignore the fudsters and keep on going! I have seen what Stan has done. And I do not like all of it. The recent stunt being amassing huge stakes in our network with an intent of devouring it is one of those. I could mention more, much more. But I'll leave it at that. To me it smells like corruption and I sincerly hope that is not what you want. Because it degrades the work Dan has done. And I believe it opens vulnerabilities not yet conceived. I believe that and support his efforts. It would be good to see you work together toward that same directive. Daniel was referring to "Trying to talk him out of it" because of potential regulatory concerns. But you wouldn't know because you were not present during the discussion. This is a shining example of exactly what Pam is talking about in this post. You are taking something that Daniel said and twisting it completely out of context for your own FALSE NARRATIVE. All you are doing is proving that Pam is right about you. I'm relatively new to the crypto community, so I don't know much about all that's gone on before. Very sorry to hear about your medical challenges, but so happy you are doing so well! I will keep you and your family in my prayers.